I’m so tired of knowing about EP launches and the pigeon roosting patterns of Glasgow side streets that I bought a ticket for the launch on the 28th at the 13th Note so I could be there in spirit. How did it go? The first time I heard the EP and then listened to it repeatedly was in the few hours before going to see Midge Ure back in mid-January. 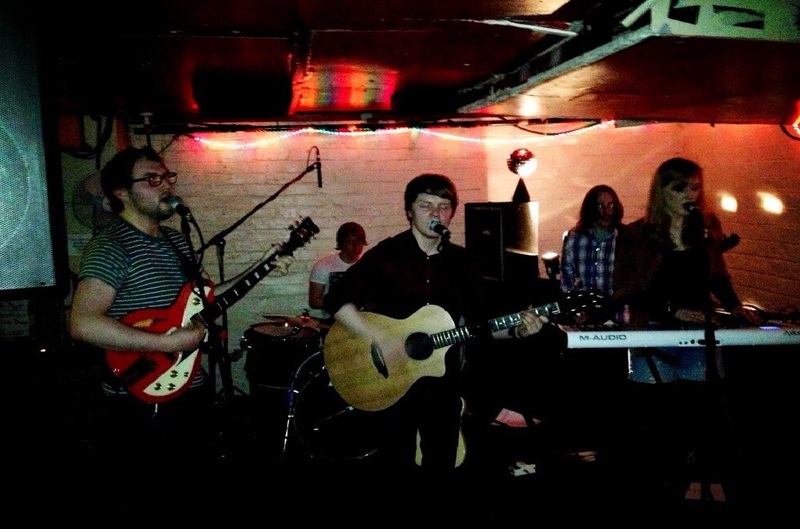 I bring this up one last time (promise) because I was struck by several things that night – how good this young band I had just discovered was and how set in musical amber my generation tends to be. Why do you think so many people tend to stop looking for new music not that long into adulthood? A few weeks ago while doing some research I stumbled across Angus’ blog The Practice Room. I found it fascinating in that it mirrored, live and on the ground, the search for new music that I have to conduct from afar. The blog is something I’d like to revisit later, but I am curious as to the motivation for doing it? I assume you’ll take a few copies of the EP over to Avalanche later in March when you play Edinburgh? Have you played there before? You’ve literally just added the Roots EP to bandcamp now. So instead of asking when you are going to do that, I’ll ask what you think of the new Kid Canaveral record? I was listening to the ‘Youth and the Young’ EP as I finished these questions. From my perspective, it seems young Scottish musicians and bands are slightly more inclined to incorporate some of the cultural musical traditions of their surroundings. Do you think this is a fair assessment? Have Scottish traditions had an impact on your own music? Who would you cite as direct musical influences? Sometimes I’m pretty slow but I could swear you started off as a three piece. I just now realized that Erin not only provides additional vocals but is also a regular member of the band. I was not aware of James’ earlier solo efforts. What has the transition from solo artist to a five member band been like? How do you tell the two Michaels apart? 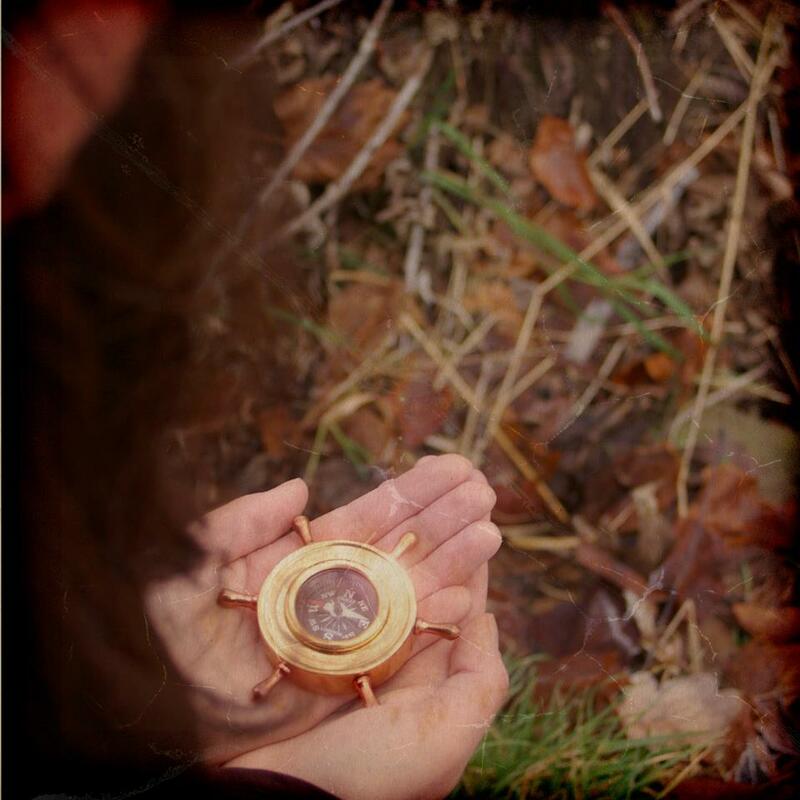 The EP cover art, especially the compass, is arresting. What’s the story behind it? Listening to the EP yet again, I’m struck by how accomplished it is. ‘Silk and Satin’ could have been the result of putting Kid Canaveral and the State Broadcasters together in a room and not letting them out until they distilled and blended their sound. It is such a lovely song. Being in the lead position on the EP, is it what you would consider the first single? What does the title ‘Roots’ signify? The last song ‘Little Dove’ sounds like it might have come from the solo period. Have you already begun writing new songs? What is next after this EP? It will be like being in Glasgow with sunshine around here in a week. Chvrches, Frightened Rabbit and the Twilight Sad twice in a six day period. Now that Washington Irving is no longer headed to SXSW, I don’t even regret not being able to head down there. I’ve often thought that if I was in Scotland that I would not be able to properly function with all the shows I’d want to attend. How do you juggle so much live music? Any other Scottish artists we might not yet know about? 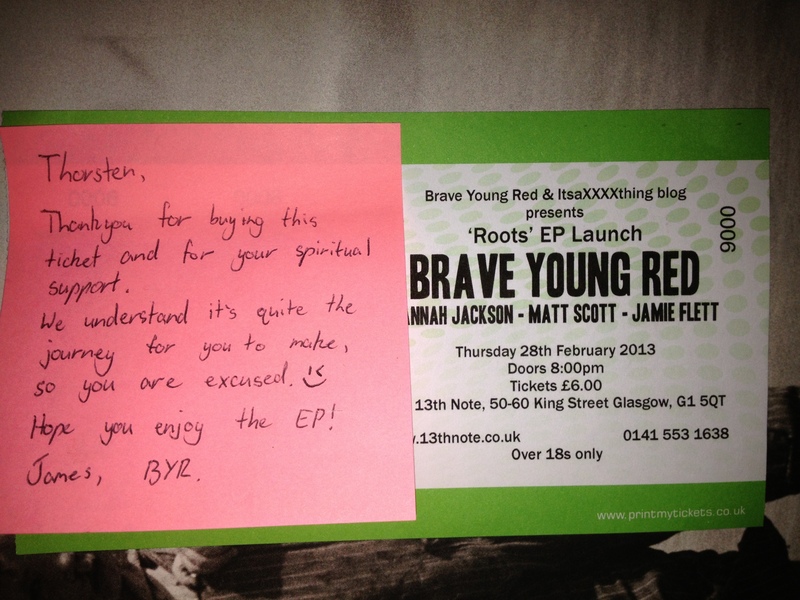 This entry was posted in Bands We've Chatted With and tagged Brave Young Red.